Well that was fast. Seems like not too long ago we were writing about preparing for summer; or as we like to call it “RV Season”. Now, parents are working to get their kids back in school, stores are stocking up on Halloween decorations (seriously?) and landscapers are starting to think about fall cleanup specials rather than lawn mowing services. Bummer. The highlight of this time of year is that the weather in our parts have hardly changed at all – and yet we have plenty of room at our Lafayette campground. As crowds return home after another enjoyable season of RVing, the daytime temperatures in the area, being in the South, will stay in the upper 80’s until October, making this a great time of year for camping near Lafayette, LA. In fact, even the “coldest” months of the year are still relatively comfortable with temps hovering just above the 60 degree mark making year-round camping in the area possible. Avoid the crowds and experience all the amenities of Frog City RV Park during some of the most enjoyable times of the year – crowd-free! 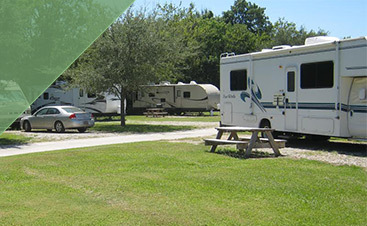 Located within a stones-throw of some of the area’s more popular attractions, Frog City RV Park caters to families on vacation and those who spend the bulk of their time in their RV home. 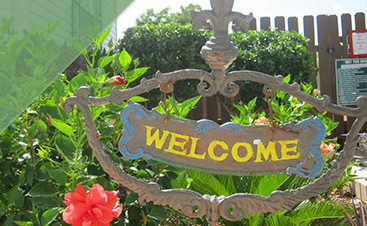 As a member of the Good Sam Club, our guests have rated us with a 9.5 out of 10 for our amenities and features. 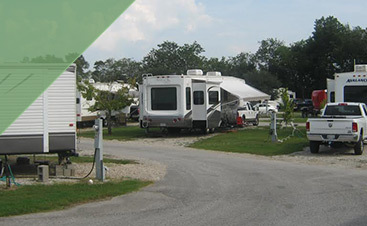 Take the time this fall to visit our campground in Lafayette for some true Cajun hospitality at Frog City RV Park.